What is appropriate for South Africa should be appropriate for Palestine, too, even if J K Rowling find that objectionable. There is a possibility that you have heard of the famed British author, J.K. Rowling, writer of the popular fantasy series ‘Harry Potter’. While I knew of her books – through my teenage kids – I knew little about the author herself, until recently. The author seems disconnected from the reality of life under Israeli Occupation. On the day of writing this article, I spoke to Ismail Abu Aitah, a young man from Gaza who lost both his parents, his brothers, and one of his nephews when Israel blew up their house in the 2014 summer war. He, too, was badly injured, together with almost every surviving member of his family. How is one to console Ismail? How is one to console the families of over 2,200 Palestinians killed in the last war; the over 400 in the previous war and over 1,430 in the one before that, in addition to the tens of thousands of wounded and maimed? Not forgetting the many killed in the West Bank this October alone, some executed point blank? For her, even non-violent acts of encountering Israel’s ongoing massacres in Gaza and the military occupation in the West Bank are excessive. “Cultural boycotts singling out Israel are divisive and discriminatory, and will not further peace,” reads the letter she signed. 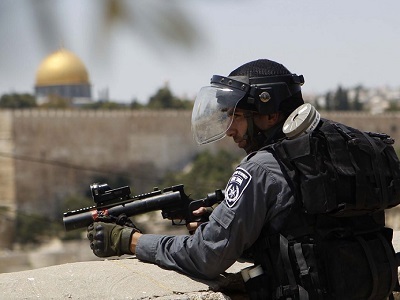 Amnesty International said Israel’s violent response to a burgeoning uprising in Occupied Palestine appears to have “ripped up the rulebook and resorted to extreme and unlawful measures.” But with scores of UN resolutions never respected, Geneva Conventions never honoured, and humanitarian laws never valued, Israel has never followed a rulebook, to begin with. Racism in Israel is so rife that being dark skinned in that country can be a terrifying experience. When a mainstream American newspaper like the Washington Post headlines a news report with “Israeli government to refugees: Go back to Africa or go to prison”, this is an indicator that Israel has a serious problem. 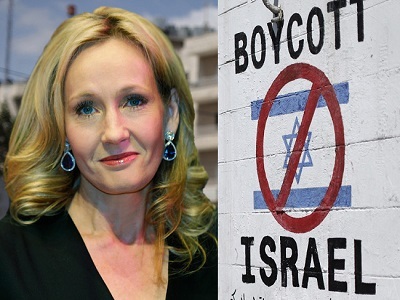 If J K Rowling and her peers do not see an urgency in standing up for millions of Palestinians who are enduring daily deaths and discrimination (as they have for 67 years), what is their reaction to the violence against Africans and dark-skinned people, who arebeaten by mobs, and abused by police and discriminated against by the government itself? 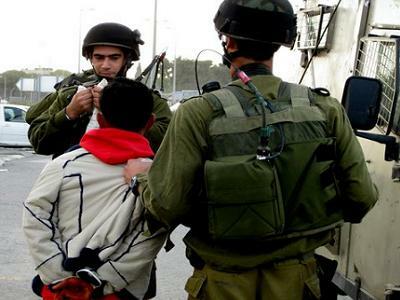 Imagine life being a thousand-fold worse for Palestinians, a nation that is forced to choose between two terrible fates: permanent destitution and exile on the one hand, or a perpetual war and occupation on the other. “We will be seeking to inform and encourage dialogue about Israel and the Palestinians in the wider cultural and creative community,” J K Rowling’s letter reads. Can those ‘creative’ elites possibly be any more disconnected from reality to the extent that they perceive a nation that stands accused of violating human rights with such impunity for nearly seven decades as one that simply needs a nudge to dialogue? To expect dialogue with Israeli Prime Minister, Benjamin Netanyahu, who has just dehumanised Palestinians further by accusing them of concocting the Holocaust is not just impractical, but is the very definition of insanity – seeking dialogue with a belligerent occupier, over and over again, and expecting different results. Fortunately, J K Rowling’s last-minute intervention and her barely concealed defence of Israel arrives belatedly. A defining moment is imminent, as hundreds of scholars in her own country have just enlisted their support for the academic boycott, to be added to the 100 artists who joined the cultural boycott last February and hundreds of universities and academicians in the US who did so last August. These are just a few examples of a massive, non-violent campaign that targets Israeli academic and cultural institutions – not individuals – who contribute directly, or otherwise, to the injustice that is meted out against Palestinians daily. The scholars from the UK, exceeding 300 and the last to join the boycott campaign were, like thousands more, guided by the spirit of the struggle against the former Apartheid South African government. The latter was overcome largely because of the struggle and steadfastness of the South African people and also aided by morally-guided actions of boycotters all around the world, which included J K Rowling’s country. Had the famed author achieved her current status during the height of South Africa’s Apartheid, would she have issued a similar call, declaring her “support for the launch and aims of Culture for Co-existence”, rather than demanding an end to Apartheid, even if it meant severing ties with Apartheid government institutions? At this point, the answer is uncertain. What is appropriate for South Africa should be appropriate for Palestine, too, even if J K Rowling and her respected peers find that too objectionable. – Dr. Ramzy Baroud has a PhD in Palestine Studies from the University of Exeter. He has been writing about the Middle East for over 20 years. He is an internationally-syndicated columnist, a media consultant, an author of several books and the founder of PalestineChronicle.com. His books include ‘Searching Jenin’, ‘The Second Palestinian Intifada’ and his latest ‘My Father Was a Freedom Fighter: Gaza’s Untold Story’. Visit his website: www.ramzybaroud.net. Sorry Dr. Baroud, but what was appropriate for SA is not appropriate for Israel. Israel and Israelis were and are immeasurably worse than white South Africa and South Africans. While white South Africans were and often still are racists and fascist, Israelis, while clearly not Nazi, were and are nazi. While accusing others of antisemitism they are anti any other human kind. A powerful, thoughtful criticism of Rowling’s indefensible defense of 68 years of zionist war crimes and crimes against humanity perpetrated against Ismail and the people of Palestine. Rowling seems to be living int he fantasy world she created. The terrorism against the British, Jews and Palestinians during the British Mandate in Palestine should also be in the forefront of Zionist crimes against everyone else, the anti-everything began a long time ago. Keep up the Rowling barrage, she must be held to account. It would be a good protest to have this article stuck to every bookshop window throughout the world. Silence from her is not an option unless she and her sponsors want to be boycotted.